More plant love! I've always liked using cups as planters. The handles make it easy for watering the plants in the sink. 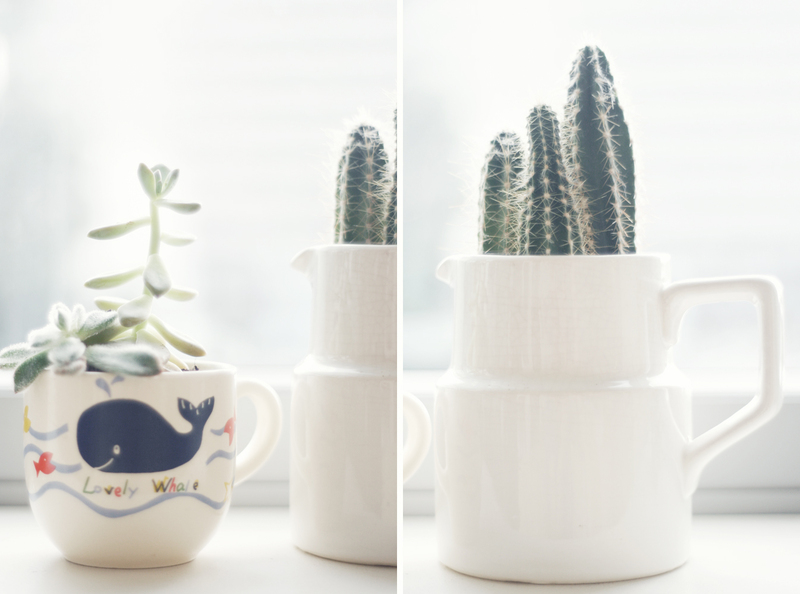 I found the Lovely Whale cup, ceramic creamer and the succulent plants from the thrifts, all for a few pennies. I don't know about you, but I enjoy sipping on a nice cup of cactus from time to time. I know my gal from Compai also shares my love for putting succulents in cups. Check out Justina's fabulous little turquoise teacup planter.